Falconry is often thought of as a relationship between falconer and bird, however there’s a great way to increase the abilities of both falconer and bird by adding a third component to the mix, the dog. Dogs have multiple uses in falconry from upland game bird pointing, squirrel treeing, rabbit flushing and more. A dog can quickly become an asset to your falconry team. It’s not uncommon to see a falconry bird paying more attention to a working dog than the falconer himself. In squirrel hawking a good dog will know to work the tree the squirrel is in and assist in both identifying the quarry and keeping it tree’d. It’s also not suprising for a bailing squirrel to end up in the grasp of the waiting dog. Goshawkers often using dogs to track and flush rabbits while the bird is waiting on the glove for the slip. 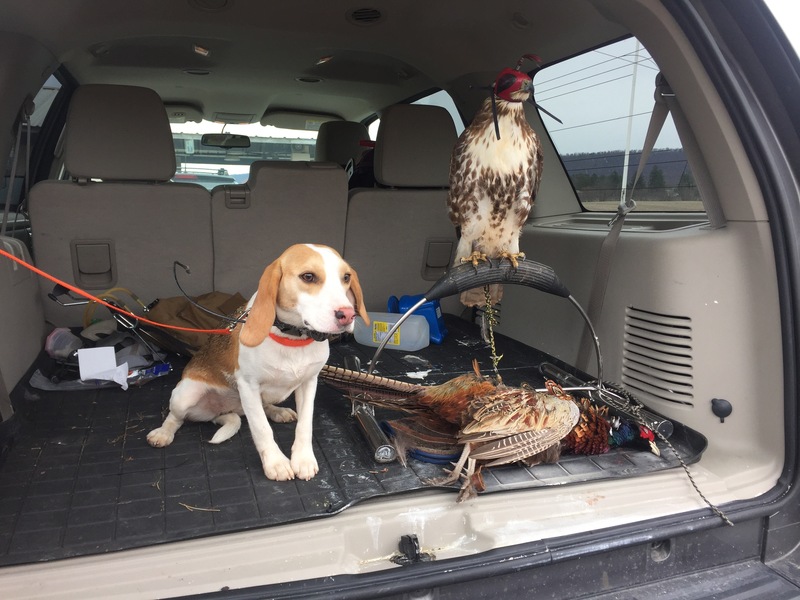 Photo to the side is David Peck’s stupendous beagle after assisting my passage red tail in acquiring a pheasant followed by Zack Reinhol’s (Deutschen Stolz Kennel) well trained German Short Haired pointers after successfully pointing and flushing a pheasant for my first year Peregrine, Evo. As with much of falconry if you ask someone "What is the best dog to get for falconry?" you'll get a different answer from everyone you ask. If you intend to buy a working/hunting breed I would suggest reaching out to fellow falconers who work the same breed to learn more about their tendencies. There are a few groups on Facebook dedicated to hawking and use of dogs. Below are some common breeds used in falconry, however know that people have been successful with little more than what was once a household pet Labrador retriever as well. It's important to have a mannered dog in the field and that the dog responds well to you. 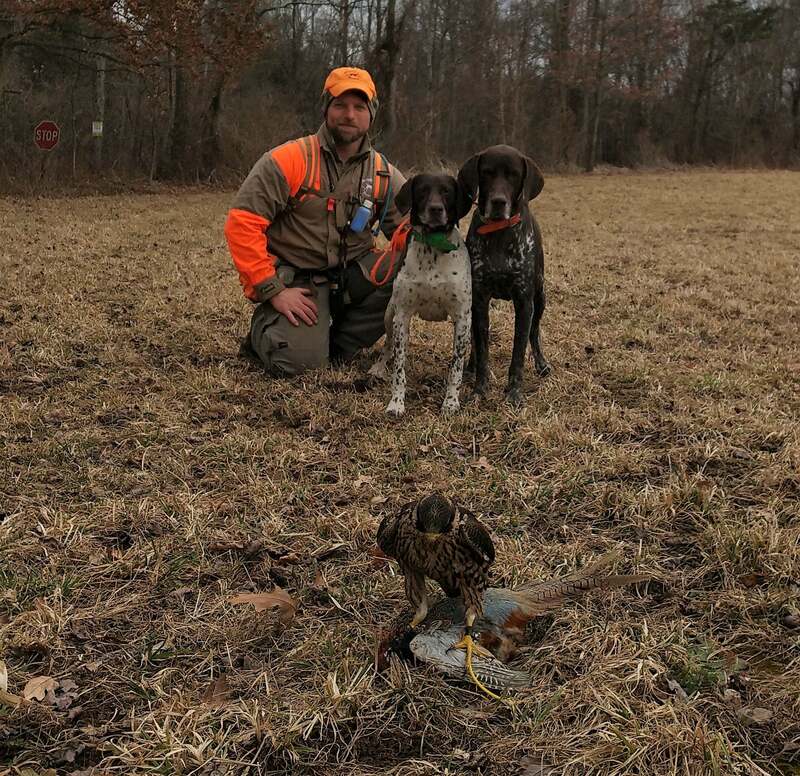 The hunts success can hinge on the dogs behavior. A great training resources is Getting Started Clicker Training for Dogs - Karen Pryor as well as some of her other books such as "Don't Shoot the Dog". 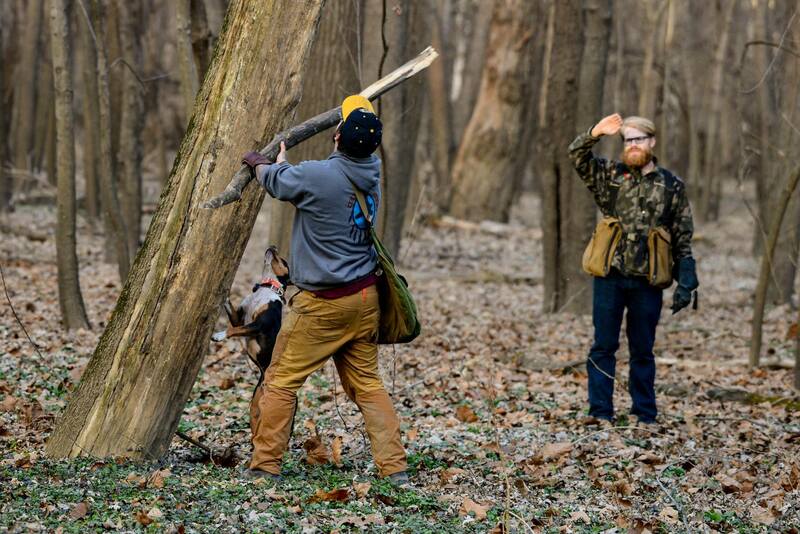 Adjacent is Tyler Sladen and Chris Starr with a squirrel treed with the dogs assistance. 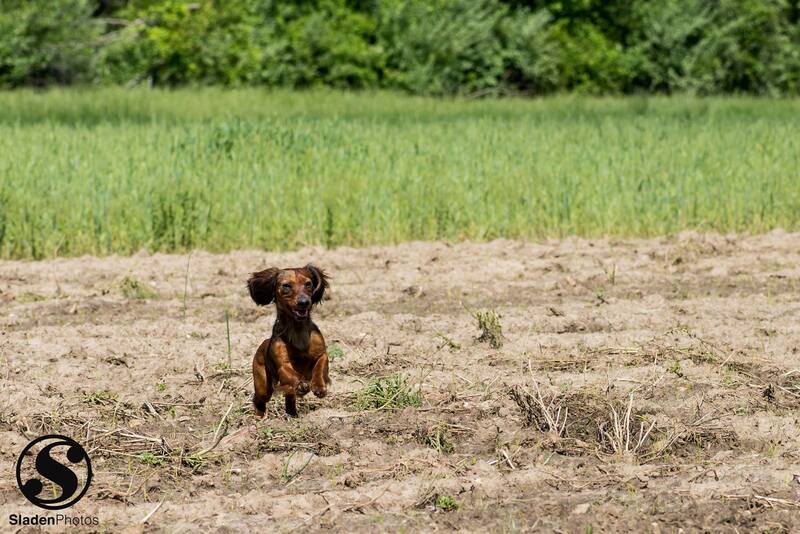 You'll also find a picture of Tyler's Dachsund, Zoidberg who is now an official Field Champion.